look down upon us, humbly prostrate before Your altar. freely consecrates himself today to Your most Sacred Heart. many too, despising Your precepts, have rejected You. so that soon there may be but one flock and one shepherd. into the light and kingdom of God. to it be glory and honour forever. 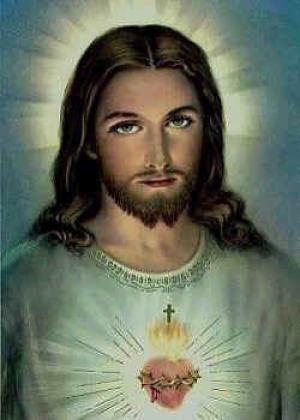 The Prayer of Consecration to the Sacred Heart is a prayer composed by Pope Leo XIII. It was included in the 1899 encyclical Annum Sacrum issued by Leo XIII as he consecrated the entire world to the Sacred Heart of Jesus.